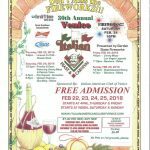 The Italian American Club of Venice will be holding their 30th annual Italian Feast & Carnival from Thursday, February 22nd through Sunday, Feb 25th. 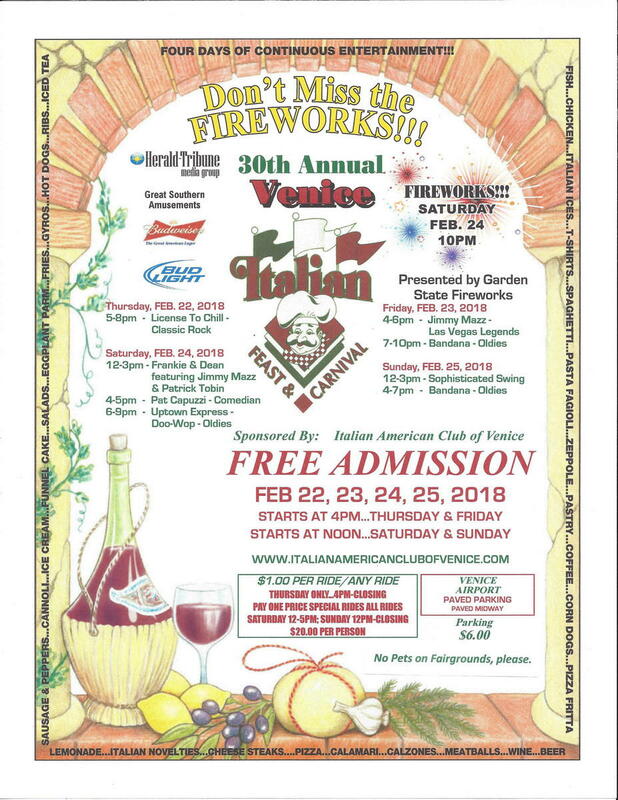 The four day festival will feature continuous entertainment, exciting rides for all ages, delicious food including Italian cuisine along with fair favorites, and a spectacular fireworks display on Saturday, Feb 24th at 10pm. Pay one price unlimited ride specials are available on Saturday from 12 noon – 5pm and Sunday from 12 noon – closing for $20 per person, per day. Thursday will have a $1 ride special from 4pm-closing where rides are $1 per ride.